Apple’s newly updated iMacs offer faster processors, much-improved graphics, and more. Apple’s newly updated iMacs have plenty to offer enterprise and consumer users, not least of which are its faster processors and much-improved graphics performance. It is interesting to note that Apple chose to announce these new Macs with nothing but a press release, even though they’ve not seen significant update since WWDC 2017. This likely reflects the importance with which the company sees the launch of its disintermediated video streaming service in March 2019. Making the decision to release updated iPads and iMacs in the week before launching the service shows the company’s determination not to divert focus from that launch, reflecting the millions of dollars it has spent pulling the service together. "If Apple announced new Pads, it would turn into a hardware event, and that's not what it wants,” IDC analyst Lauren Guenveur told CNN. While this makes sense strategically, I can imagine that people involved in the development of both the new Macs and iPads may have quite liked to hold an additional Apple event to launch the new hardware – it was certainly speculated it might. After all, Mac and iPad sales generated a significant $11 billion-plus in revenues in Q4 2018. How has Apple improved its iMacs? New Intel processors, faster graphics, and other enhancements mean these c.5-millimetre thin iMacs should be extremely capable desktops for handling graphics-intensive tasks such as video editing, 3D content development, or graphic design. Not only do the new iMacs offer Retina displays (4K or 5K, depending on display size), but they now use Radeon Pro Vega graphics and offer up to 14.7 million pixels, 1 billion colors, and 500 nits of brightness. The iMacs ship with 8GB memory as standard and can support up to 32GB. Interconnects include four USB 3 ports, two Thunderbolt 3/USB-C ports, headphone jack, SDXC card slot, and gigabit Ethernet connector. The 27-inch iMac includes 9th-generation 7GHz 6-core Intel i5 chips or 3.1GHz 6-core 8th-generation Intel Core i5 processors. You can order a model with Intel’s 9th-generation, eight-core i9 processor. Apple promises up to 2.4 times faster processor performance and up to 50 percent faster graphics performance than previous model. These cost from $1,799. 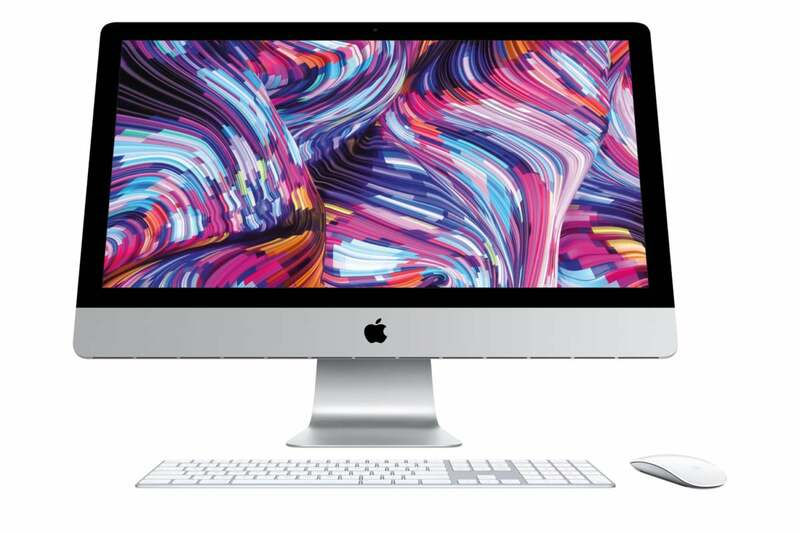 A non-Retina display iMac remains available for $1,099. Are these Macs right for the enterprise? Apple’s expanding product range reflects how much it has changed since the four-product vision espoused by Steve Jobs in the late 1990s when he rescued the firm. That company’s core products were all Macs. Today’s company has a variety of product families: Macs, mobile devices, services, and wearables alongside a growing stack of software products designed to make all these things work together. It’s not just Apple that has changed. The needs of its market have also transformed. The company quite rightly recognizes that the market it serves is much bigger than ever before – 1.4 billion iOS users means hundreds of millions of us now walk around with a computer in our pocket. However, everybody has different needs, and it is reflective of the more disparate requirements of this larger market that Apple now offers a wider range of products differentiated for different needs than before. The thing is, the needs of enterprise IT are also changing. Many tasks that once needed a PC can now be handled quite capably by an iPad mini, while other tasks that never before existed may need a Mac. All the same, even within this the need enterprises have for software development and design is growing, not shrinking, and these new iMacs provide the power to handle such tasks – though enterprises developing next-generation augmented reality (AR) and collaboration solutions may need even more horsepower, which I think they’ll meet at WWDC 2019.